Note that the cables are short for display purposes. Both consoles are on display at Sony’s Tokyo Game Show booth. The PlayStation Classic sure is small! Even the Classic’s box is a throwback to the original with added “PlayStation Classic” written in Japanese. 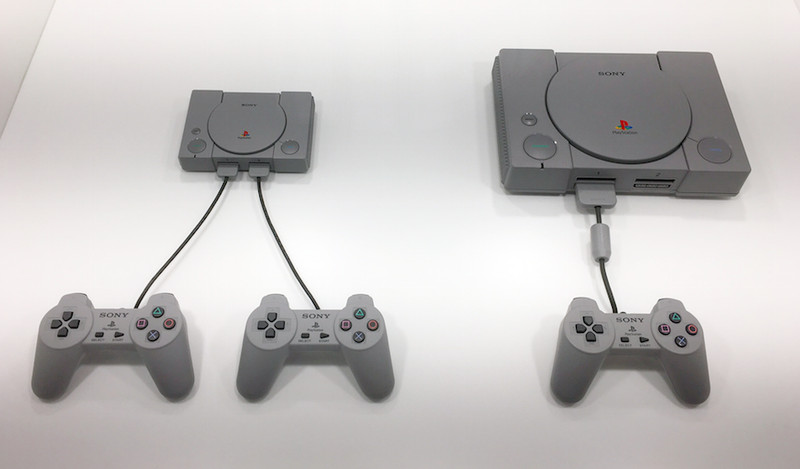 As Kotaku previously reported, the PlayStation Classic will include two original PS1 controllers and a HDMI cable, and cost $99.99 when released this December.